Skip those high-priced bakery versions, and make your very own batch of croissants from scratch right at home. 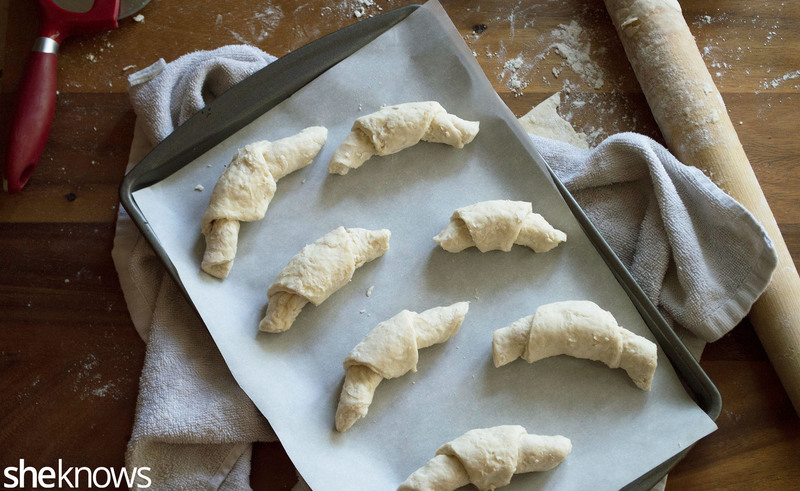 Use this easy, step-by-step tutorial to make foolproof, airy croissants right in your kitchen. 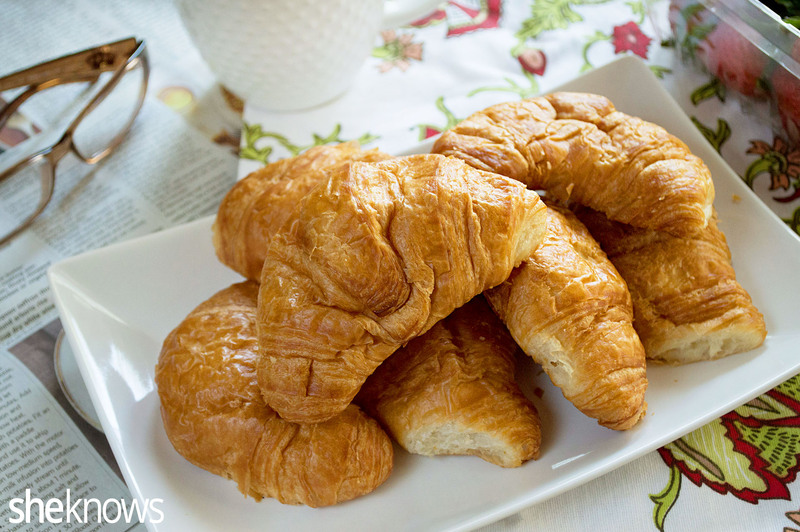 There is nothing better than a fresh, flaky croissant for breakfast or brunch with the family. Frequenting my local bakery can get super expensive, so I decided to give croissant-making a go in my own kitchen, and what I realized is that it is super easy. While it does take a little bit of time and patience, the result is worth the wait. These homemade croissants are buttery, flaky and rich, just like the ones you can pay a hefty price for. Make these on a weekend or on a day when you have a little free time, and enjoy them with your family with fresh fruit jams, butter or with honey. 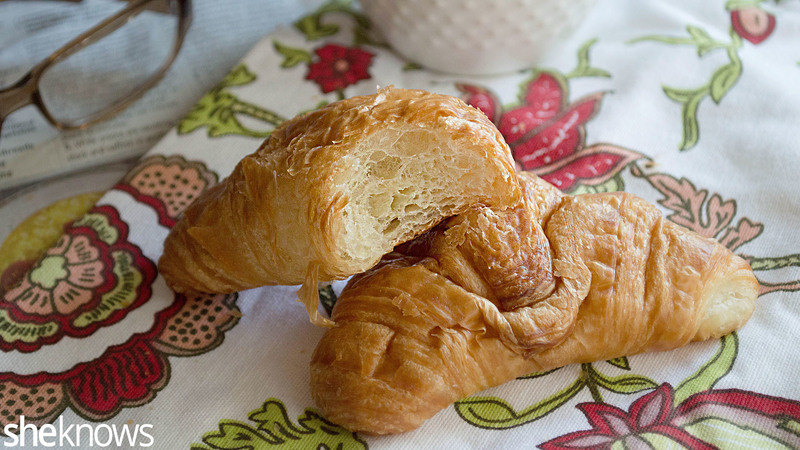 Using good-quality ingredients really does make the flavor so much better in these croissants. 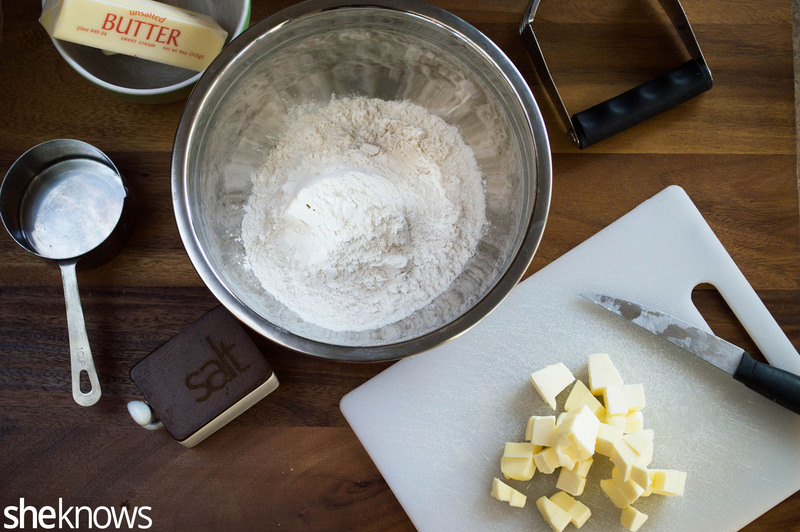 Look for high-quality butter and sea salt. Using cold butter rather than softened butter gives croissants that super-flaky texture with lots of layers we all desire so much. 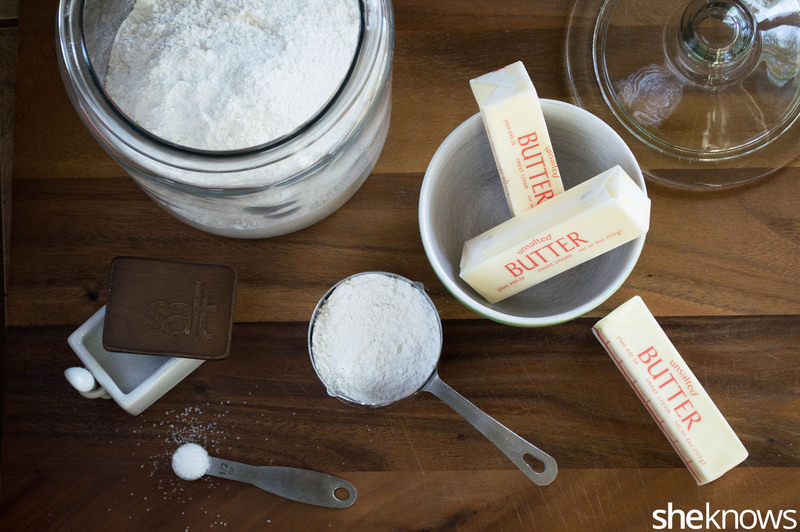 Pop your butter into the freezer 10 minutes before you dice it to make it easier. 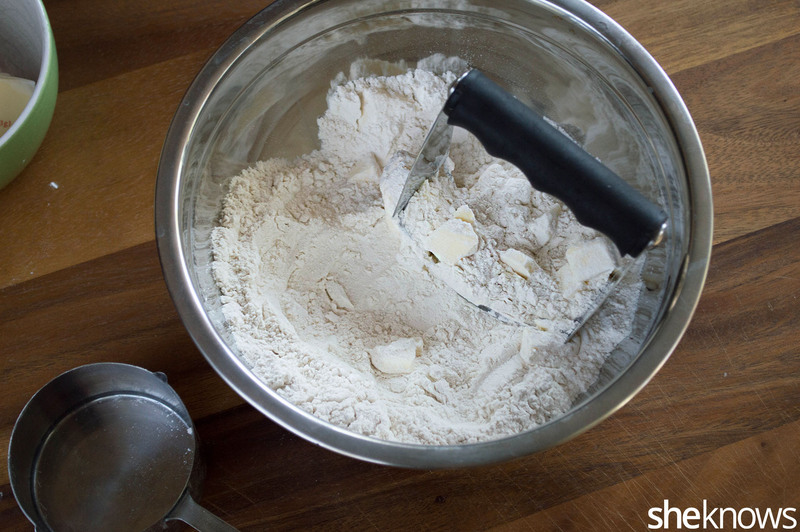 Don’t worry about those pea-size lumps of butter left in the dough once you are done mixing it. You actually want those little bits of butter to run throughout your dough. Make sure to wrap the dough very tightly in the plastic wrap to keep the air out while it’s chilling. Otherwise it will dry the dough, and nobody wants that. You don’t have to roll the dough super thin; just keep the thickness the same as a thin-crust pizza crust so it will be easy to roll. Using a pizza cutter really helps to make the cutting part easy, and it keeps the croissant wedges uniform in size. When rolling the wedges, roll them as tightly as possible so your croissants don’t lose their shape when rising or baking. 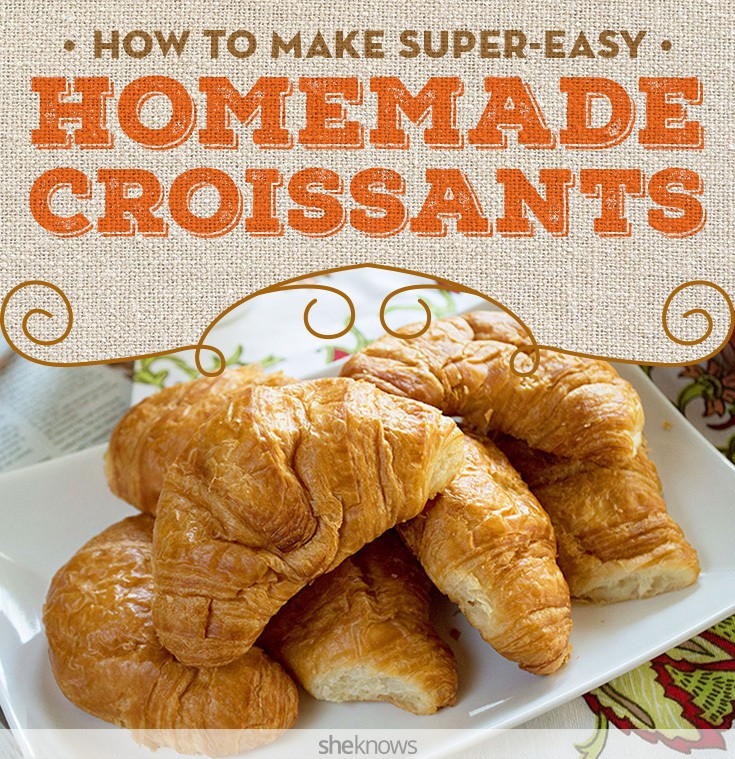 Cover your croissants with a plain, damp dish towel when they are rising. The damp towel keeps them from drying out. Once your croissants are done, try very hard to not eat every single one in a single sitting. Flaky, homemade, bakery-style croissants can be made right at home with this easy, step-by-step tutorial. To a large bowl, add the flour, sea salt and diced cold butter. 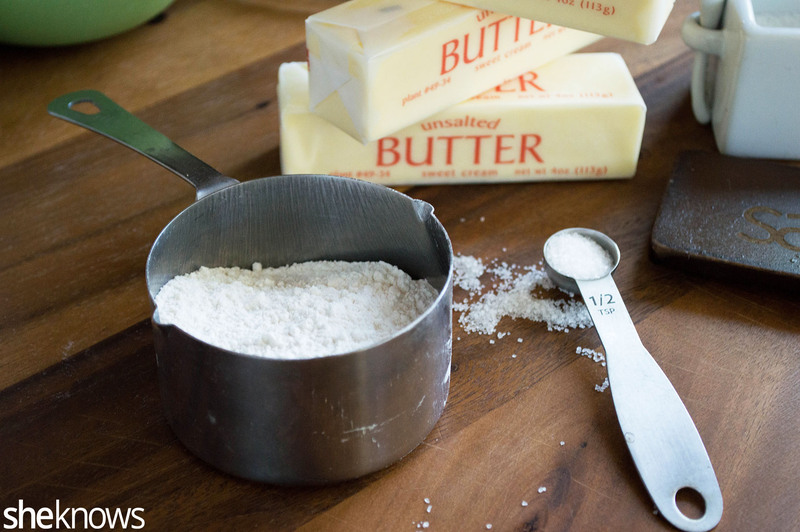 Using a pastry cutter, cut the butter into the flour until it resembles crumbs. To a separate bowl, add the warm milk, sugar and yeast. Mix well, and let stand for 10 minutes or until it becomes slightly foamy. 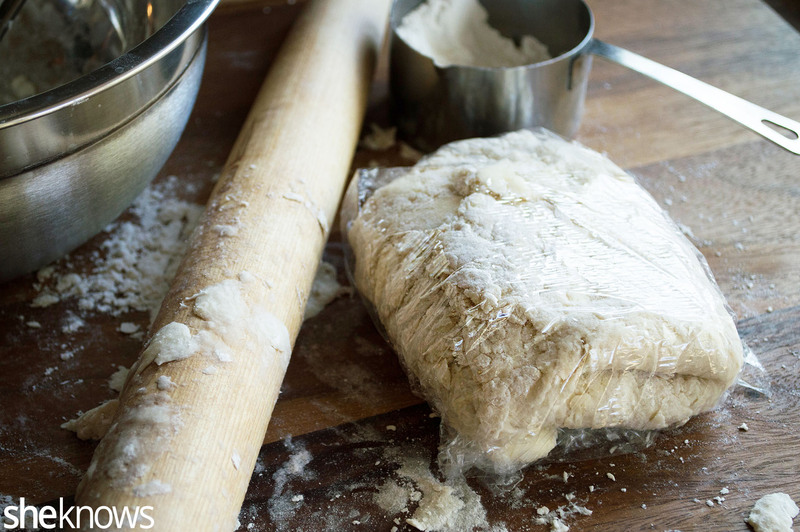 Dump the dough out onto a floured surface, and roll it out into a circle. Fold the sides of the dough inward, and wrap tightly in plastic wrap. Chill the dough for 2 hours. Again, dust a large work surface with flour, and remove the dough from the plastic wrap. 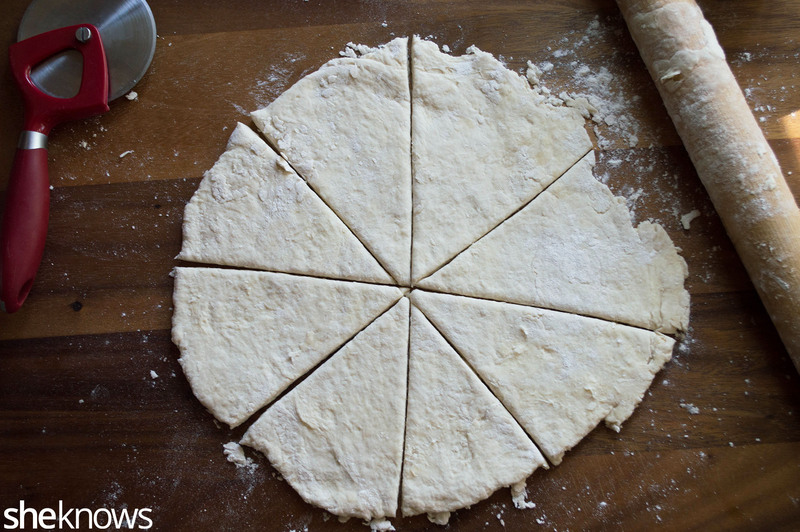 Roll out the dough into a circular shape. The cold dough will be a little more difficult to roll, so keep rolling and flipping the dough several times, as this helps warm it up, making it easier to work with. Wrap the dough in plastic wrap again, and chill for 30 minutes. Repeat this process 1 more time. After you have repeated the process of rolling out and chilling the dough, it is finally time to make the croissants. 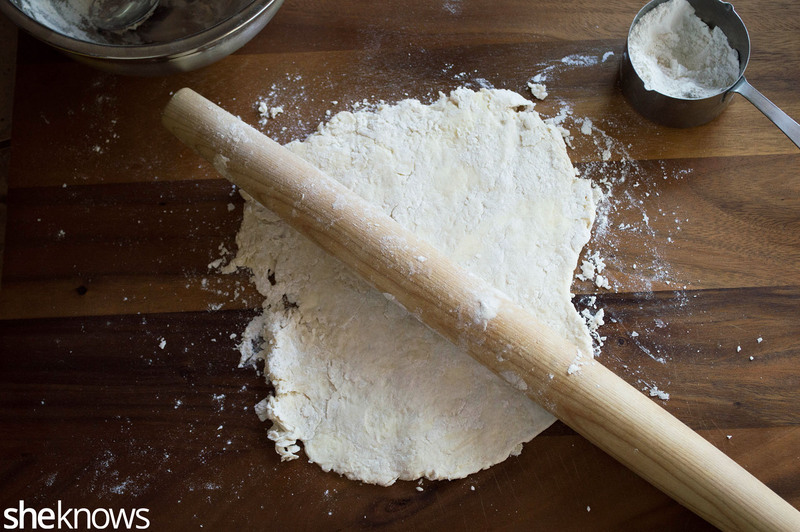 Once more, dust a large work surface with flour, and roll the dough into a disc or circular shape. 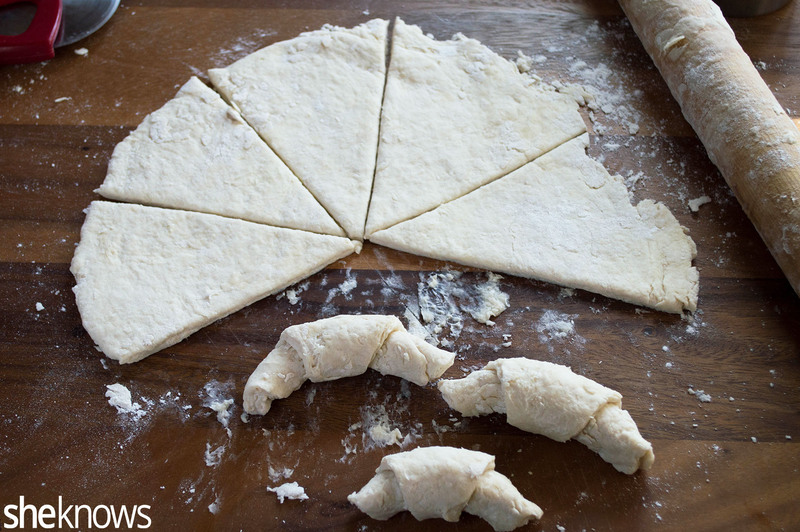 Using a pizza cutter or a sharp knife, cut the dough as if you were slicing pizza into 8 equal parts or wedges. Starting from the wide part of the wedge, roll the dough downward to make the classic croissant shape. Place the croissants with the “tip” sides down onto the baking sheet. Cover with a dish towel, and let the croissants rise at room temperature for 2 hours or until they have almost doubled in size. Preheat the oven to 425 degrees F. Bake for 8 minutes, then reduce the heat to 375 degrees F, and bake for another 8 to 10 minutes or until the croissants are nice and brown on top. Remove from the oven, and let cool on a wire rack. Serve as is or with fresh fruit jam, cream cheese, butter or honey.